This wooden loader truck, crane and forklift get the job done, for sure. 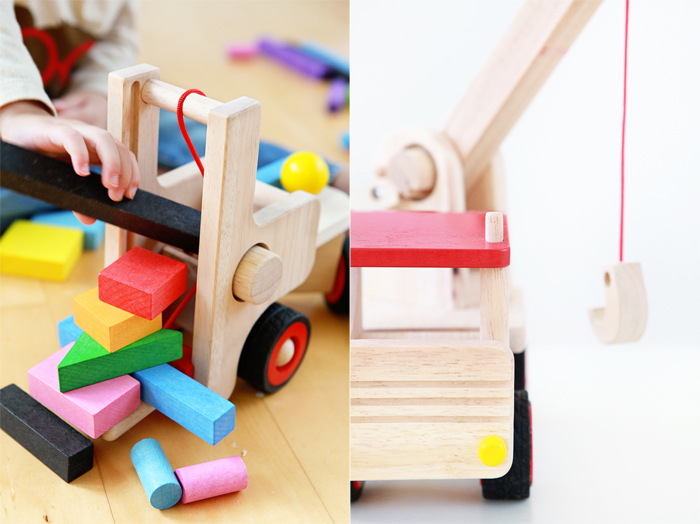 They are made of sturdy rubberwood and each has either a steering wheel, lever, hand crank or fork that shows cause and effect relationships in action. They allow you to see a simplified version of the mechanics of these construction vehicles and learn how they work. You can use the steering wheel on the loader truck to steer it left or right, which we liked a lot. Avery loved scooping up blocks with the loader truck and dumping them into a big pile. The Bucket O' Blocks is a good set of starter blocks with a variety of different shapes, sizes and colors perfect for building a modern abode or a small town. And you can use the forklift to transport the blocks over to your construction site! 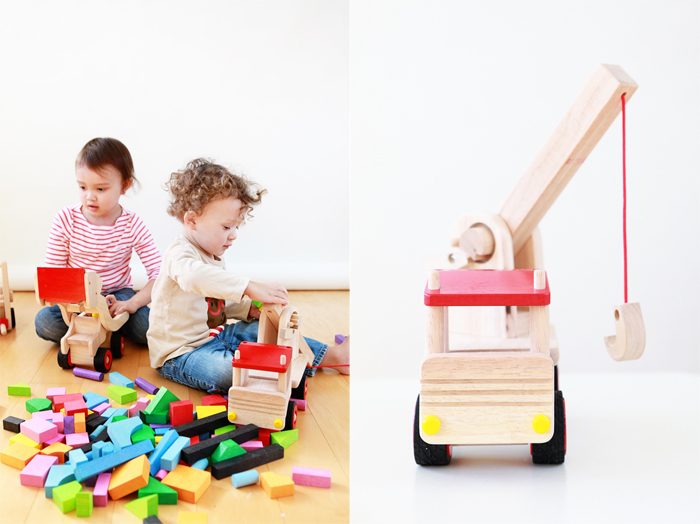 Thanks to The Land of Nod for sending us their loader truck, crane, forklift and Bucket O' Blocks Set.